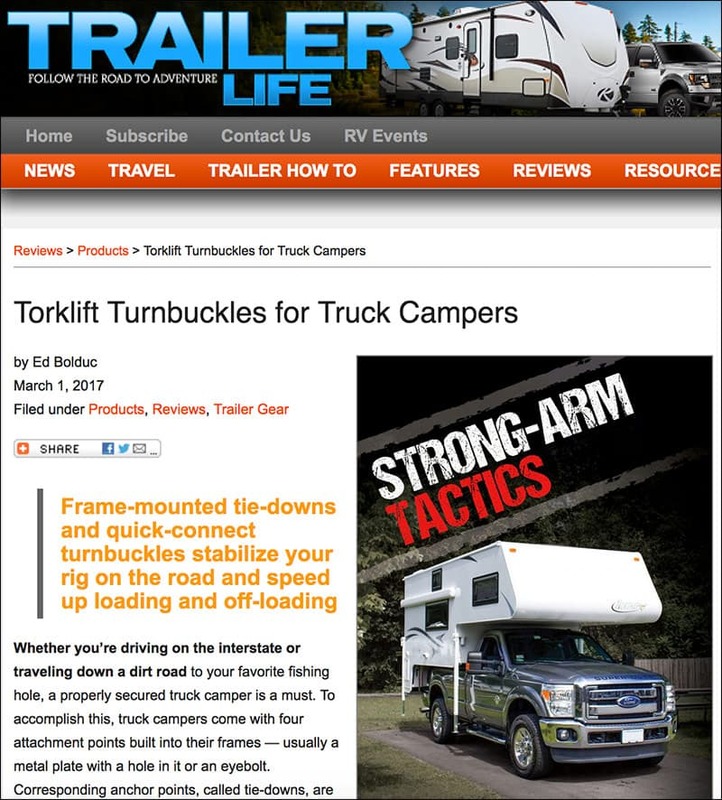 Trailer Life Magazine has published an article about Torklift International’s frame-mounted tie-down and FastGun turnbuckle system. The article features commentary from Bill Penney of Truck Camper Warehouse and an installation with a 2012 Ford F350 and 2017 Northstar 9.5 Igloo U. Are You Going to the Great American Eclipse?